As a special Forum Movie, The First Unitarian Church of Oklahoma City will show a free public screening of Inlaws & Outlaws on Thursday, January 21st at 6:30 pm. The screening takes place in Daniel Hall. Doors open at 6 pm. 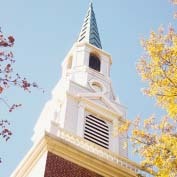 First Unitarian is a welcoming congregation and all are invited to attend. See map below for full directions to the church. "We are the people next door, the family down the street, your coworker, the parent at a soccer game. We are the single person strolling in the park, the guy rockin’ to the oldies on KOMA, the couple on the dance floor. We’re the gay man, the lesbian couple, the extended family. We’re liberals, conservatives, centrists, traditionalists, Republicans, Democrats, Christians, atheists, agnostics. What unites us is our concern and love for one another. We are the oldest Unitarian congregation in the Southwest, at 110 years old, established in September 1893. We have a long and colorful history in Oklahoma City, one of which we are proud, yet humble. Through our doors many of the famous in Unitarian history over the past century have come. We value tolerance, justice, compassion, democracy, community, peace. We respect people because they are people, regardless of how much or little money they make, regardless of whether they live in house, apartment or trailer. No matter who they live with . . . no matter what they look like. We offer a diverse religious education program, pre-school through adult. We offer a variety of small covenant groups, on subjects ranging from cooking, creativity, music, books, to exploring spirituality. We are proud of our social justice involvement in Oklahoma City. We value and are learning from one of the newest groups in our church, the Sustainable Living Organization. We are a community, reaching out to all of Central Oklahoma, with the good news of Unitarian Universalism. We might be what you’re looking for. We invite you to join us Sundays at 11:00 a.m. and stay awhile after the service at noon for Social Hour and conversation."